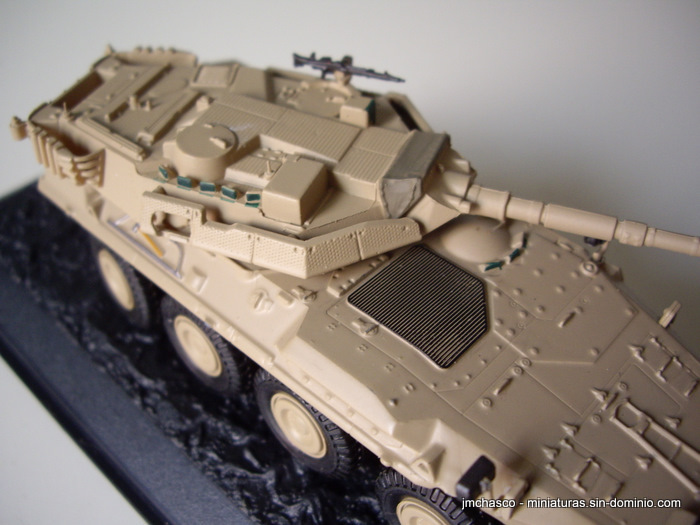 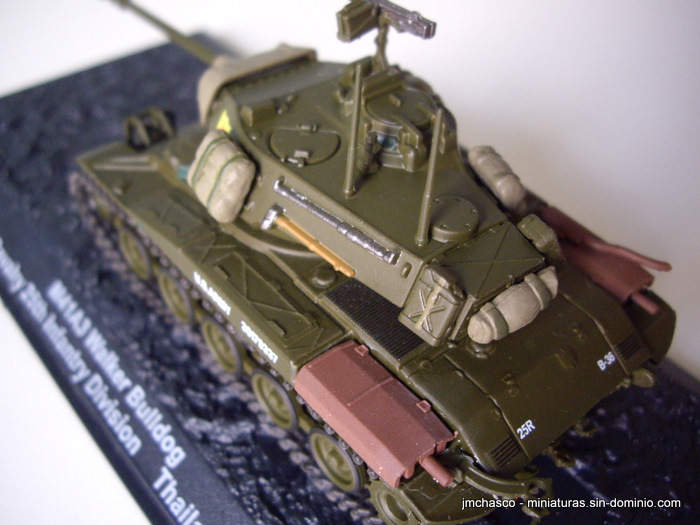 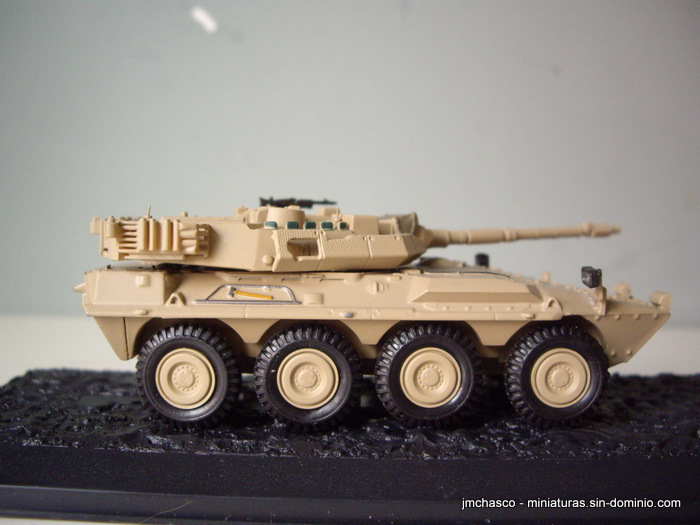 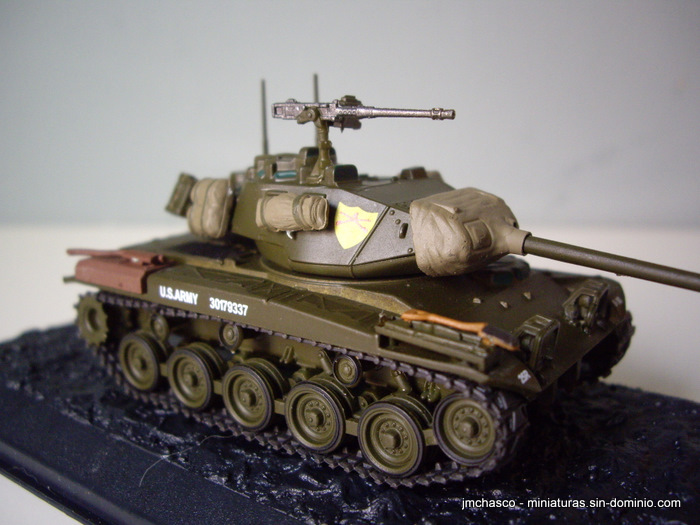 Altaya IXO M41A3 Walker Bulldog 4th Cavalry 25th Infantry Division – Thailand 1962. 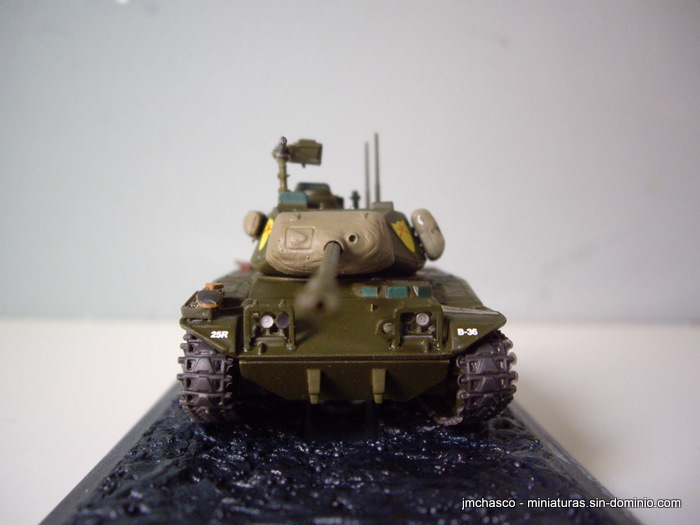 1 M2 12,70 mm + 1 7,6 mm. 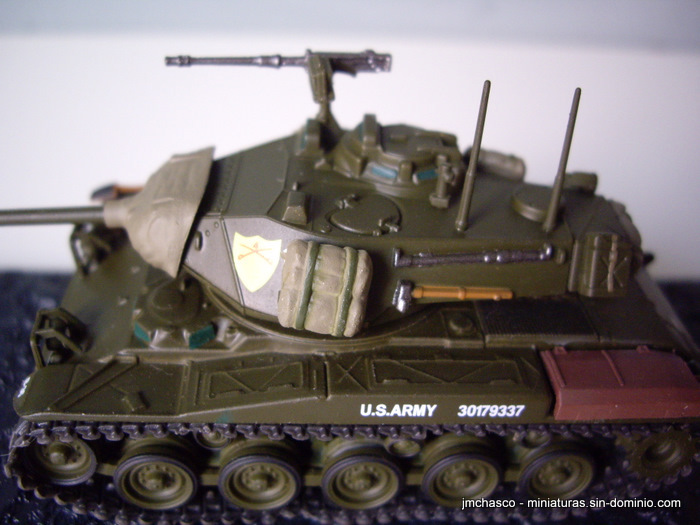 The M41 series was developed during 50’s , being the light U.S. Army tank during next two decades, replacing the M24 Chaffee. 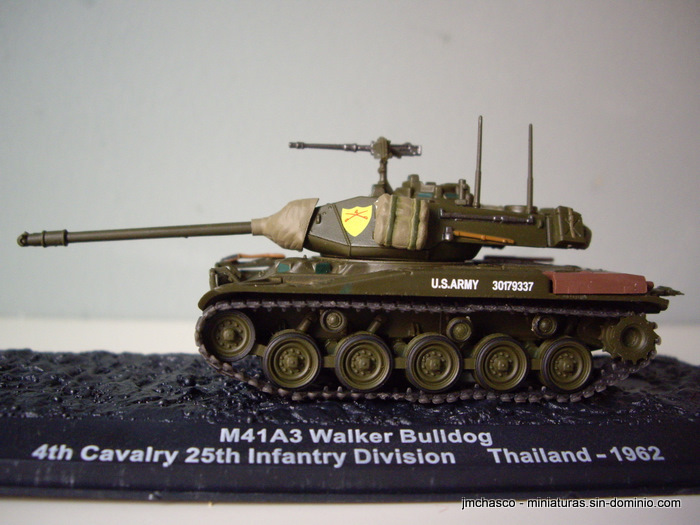 It takes his name from the General Walton Walker, who died during Korea’s conflict. 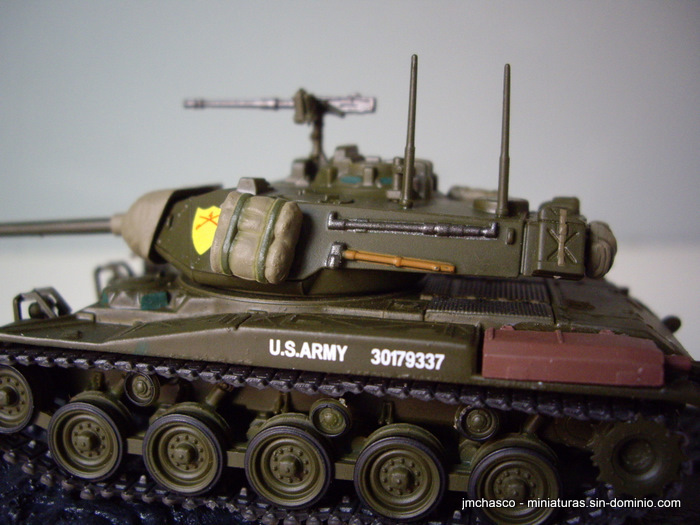 The tank had a little envelop during Korea’s conflict, where it arrives without previous testing, so it was tested during the conflict. 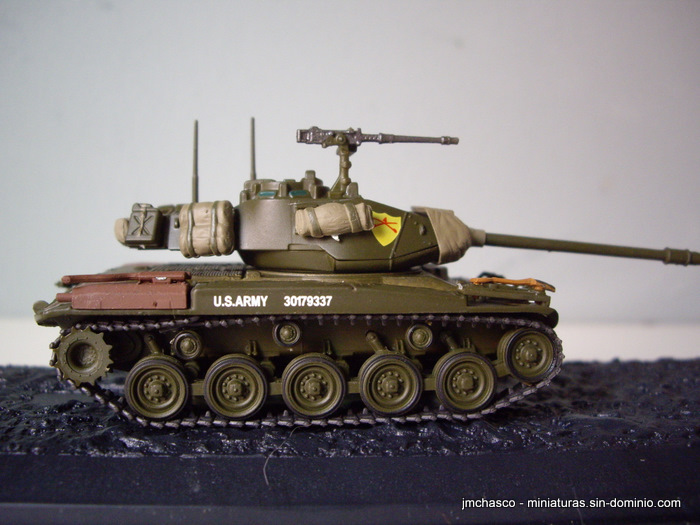 It was exported to several countries, some of them maintain it in service until our days, and the most important was probably the Vietnam Republican, where it saw action during the famous conflict. 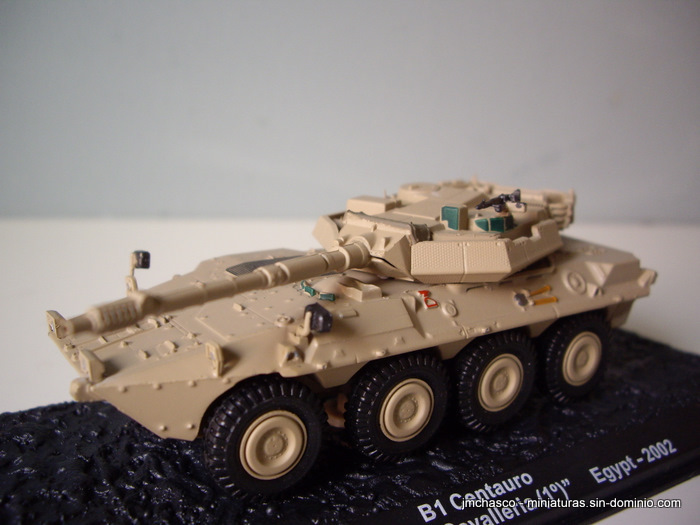 Altaya’s model depict the A3 version, which was modified to injection fuel engines. 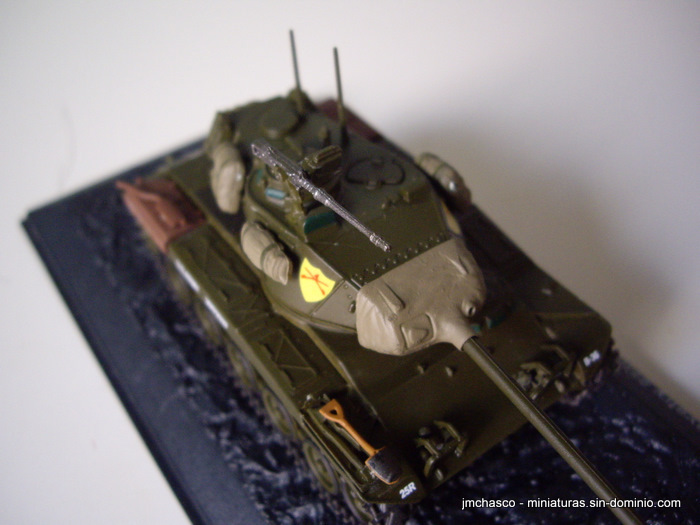 This time, model is quite bad, all the details over the turret and chassis looks pretty ugly, the gun is in a very low position and fixed, and the aerial are too thick. 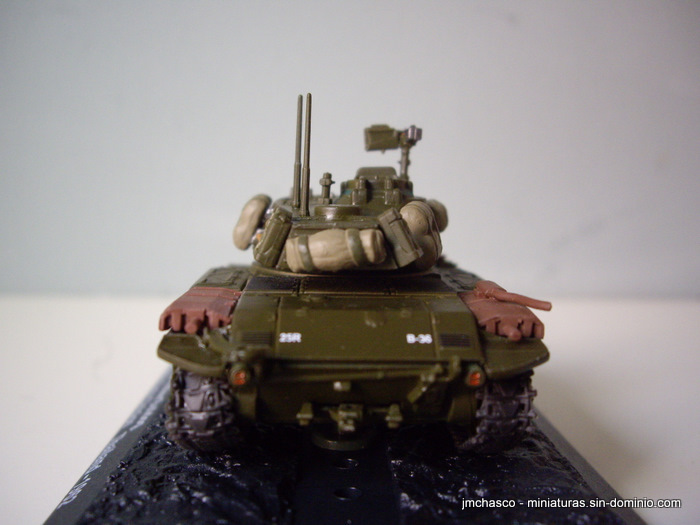 The worst model of the collection until now. 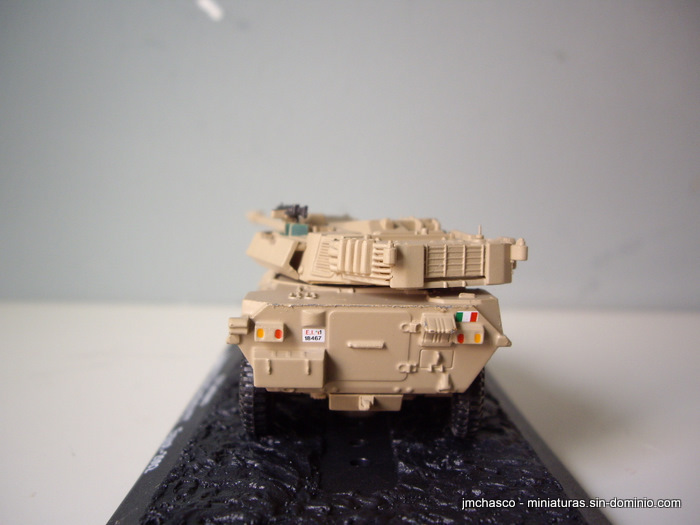 Centauro is a powerful antitank vehicle with high tactical reconnaissance capabilities due his mobility. 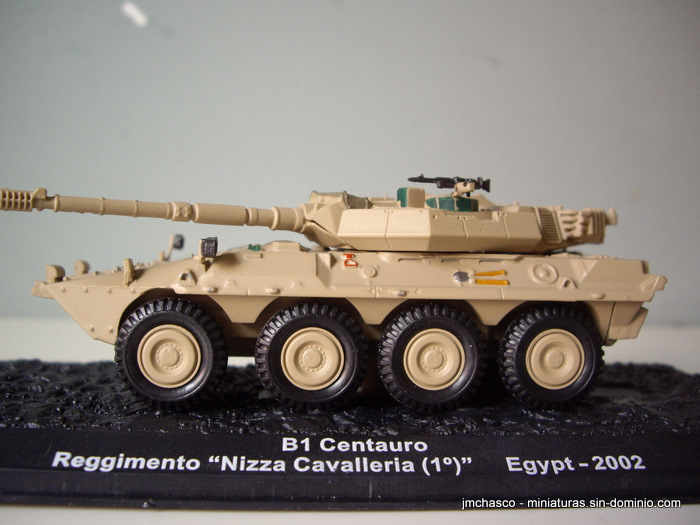 It was designed from 1991 and end delivering to Italian army due 2006. 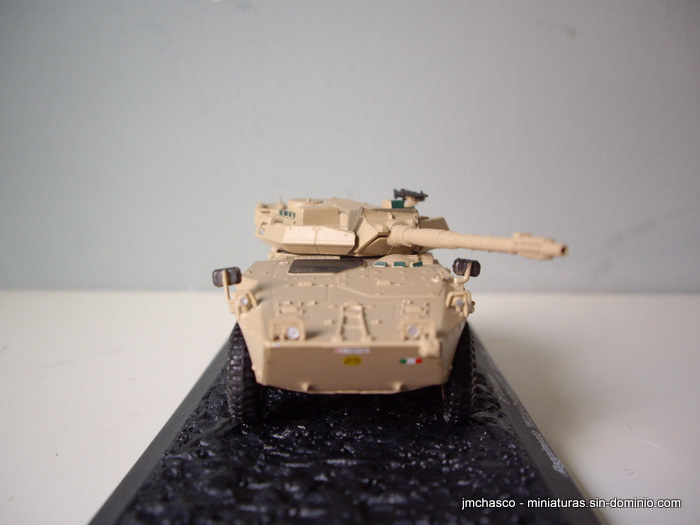 His fire power is similar to a Leopard I tank and it’s aimed with common modern features to fire, aim target , NBC warfare protection and more. 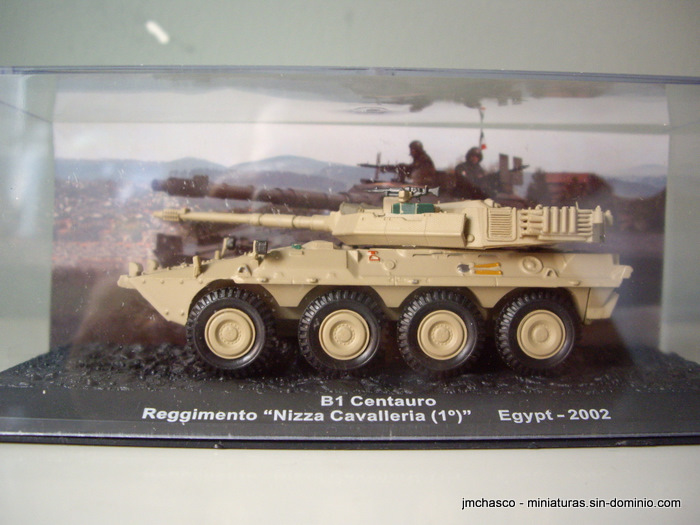 It has proved his value in conflicts such Iraq and also have been delivered to other countries like Spain. 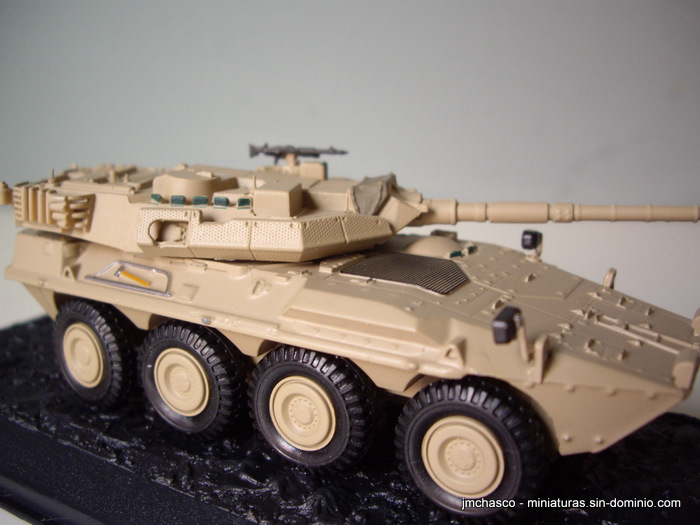 Altaya’s model have an acceptable quality, although this first entries for the collection remember me the first ones from the Panzer Collection, less quality than the latest ones. 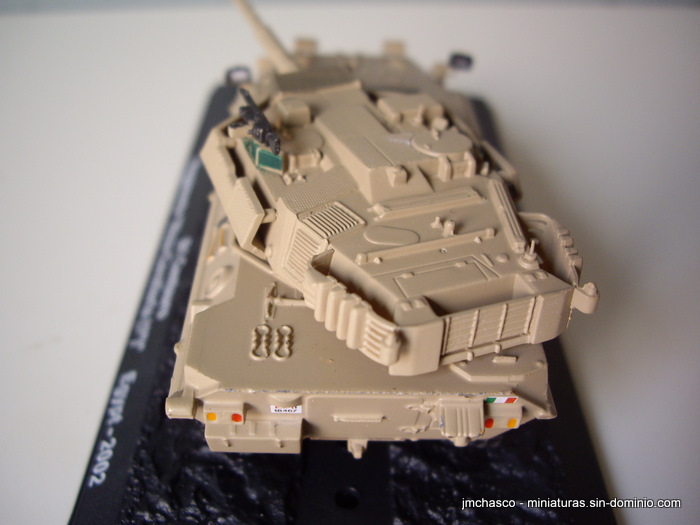 The worst the painted details on the hull. 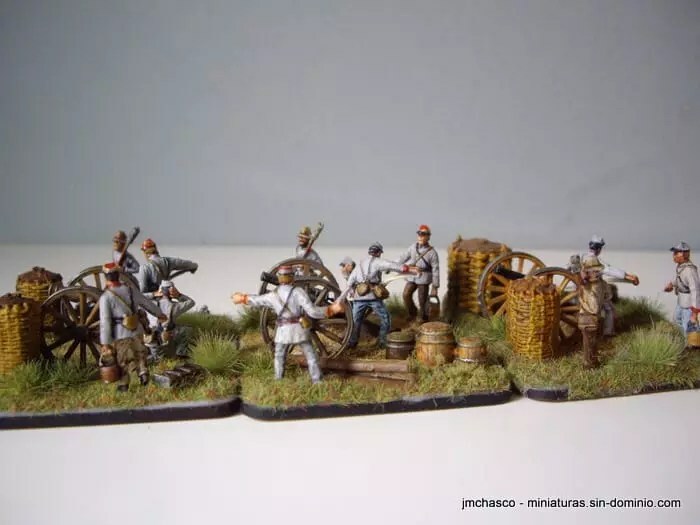 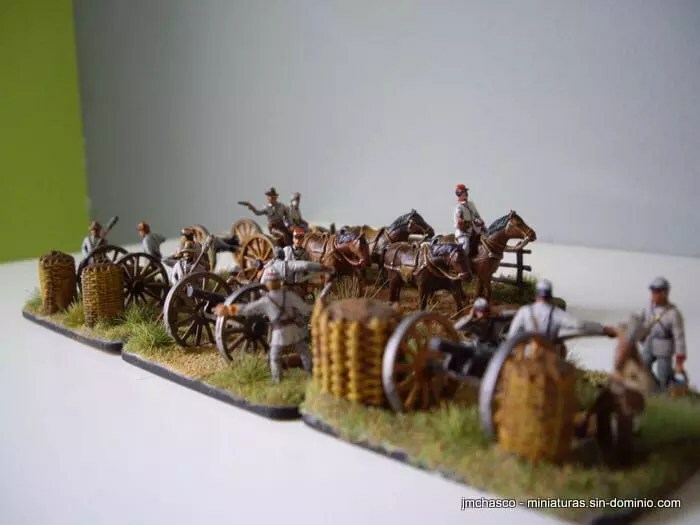 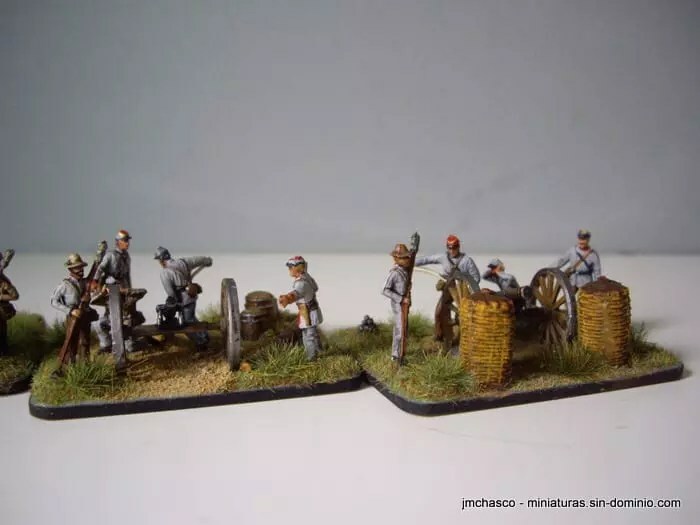 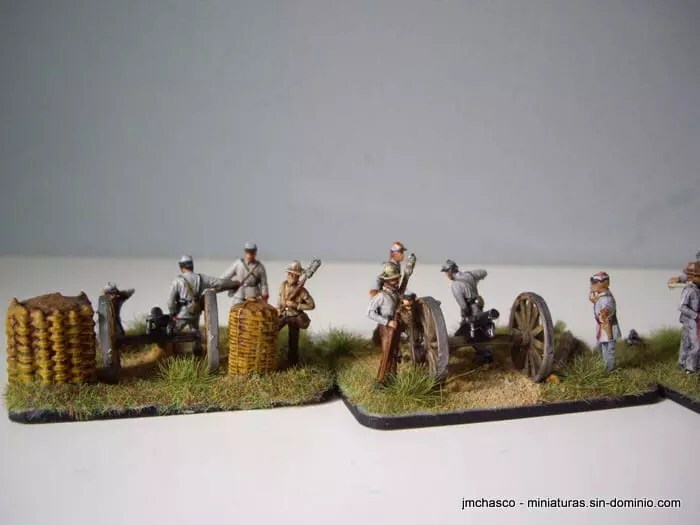 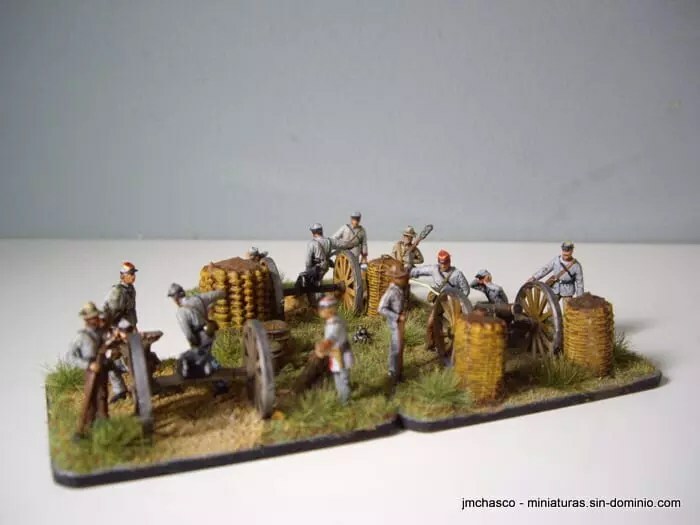 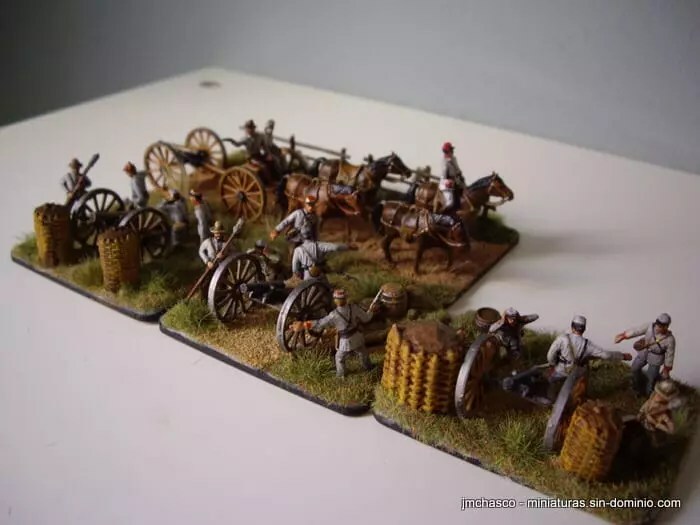 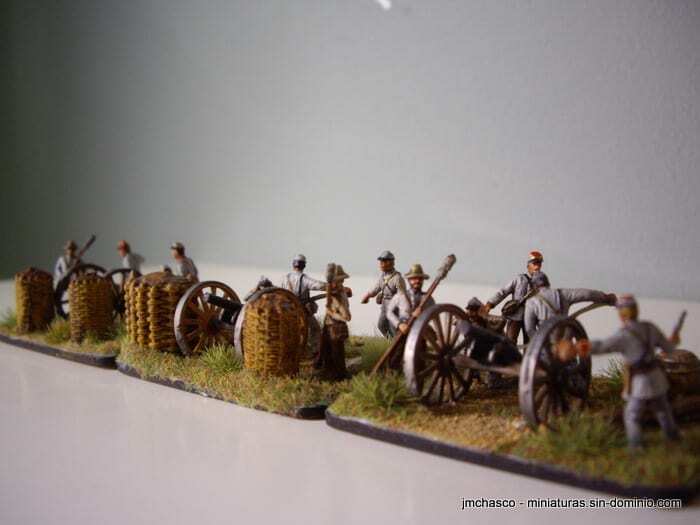 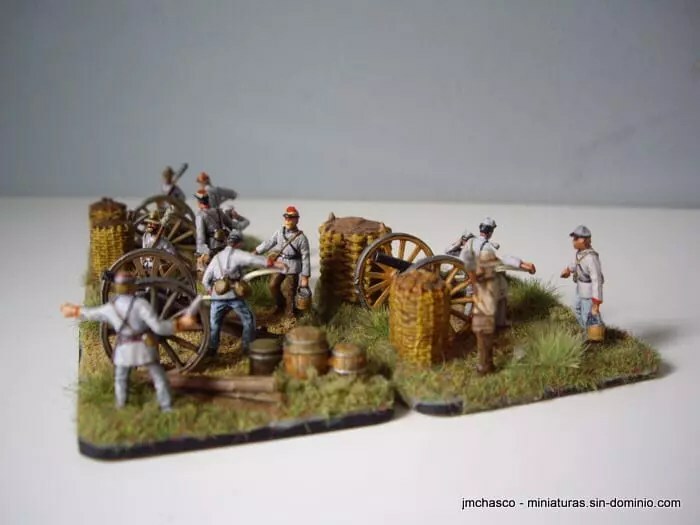 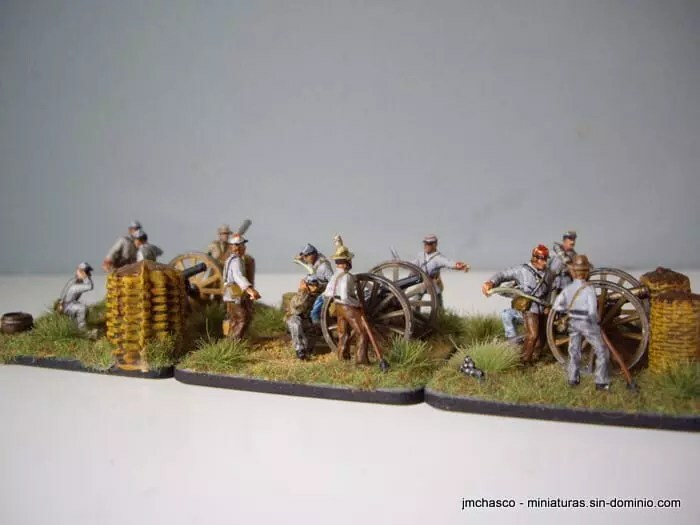 Well, second entry for confederate artillery, painted in a more irregular style, as usually they are depicted. 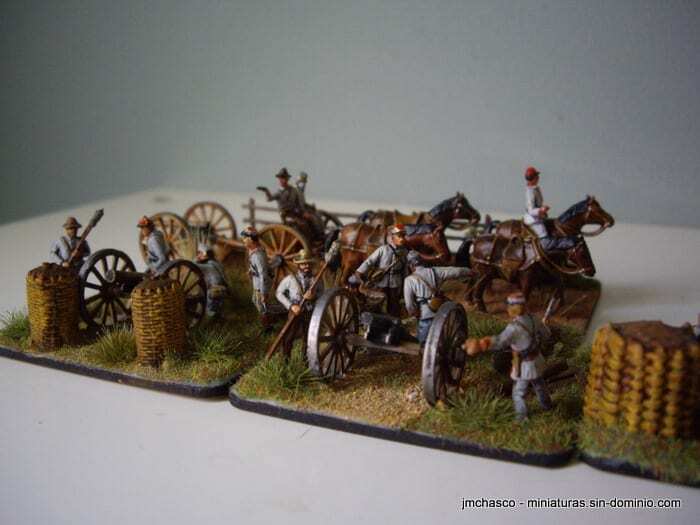 This time Imex 302 set, which haves 3 guns and one limber, instead of the 2 and 2 from the Accurate set. 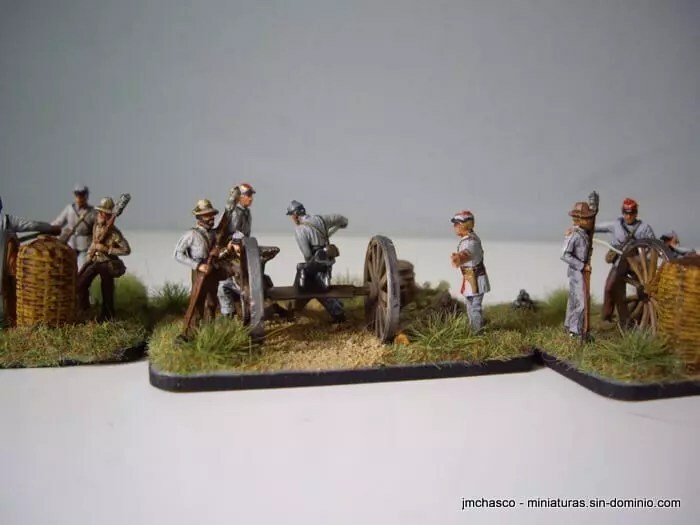 This set also comes with several infantry figures, which i reserve for future infantry bases. 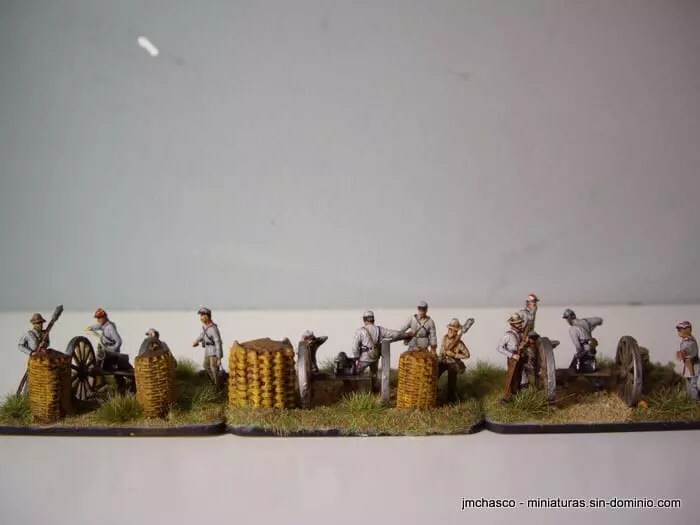 Full review at Plastic Soldier Review, also you can purchase the set here. 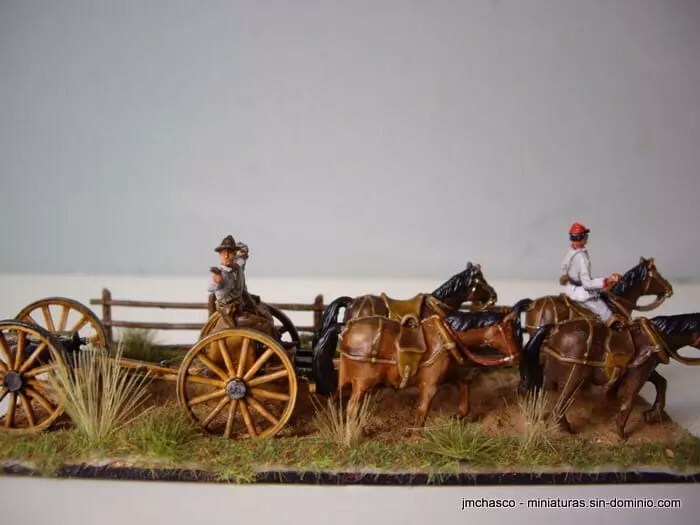 The officer also isn’t from Imex set, it comes from Accurate/Revell infantry set. 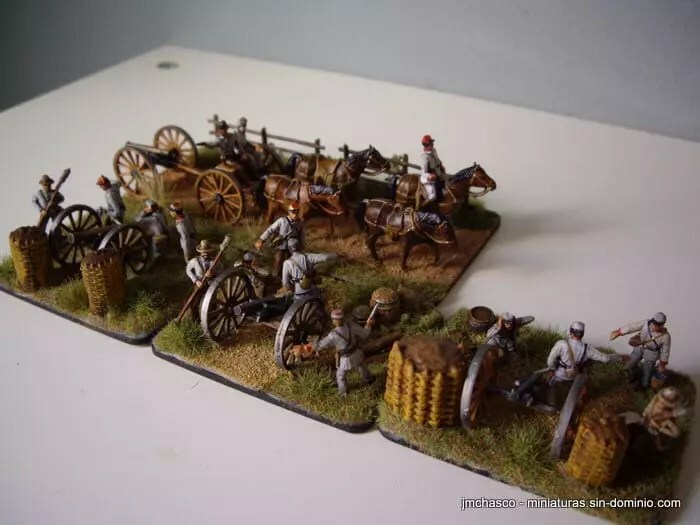 To be honest once again i’m not very gladded with final result, bases looks pretty well for gaming, but figures paint work isn’t my best. 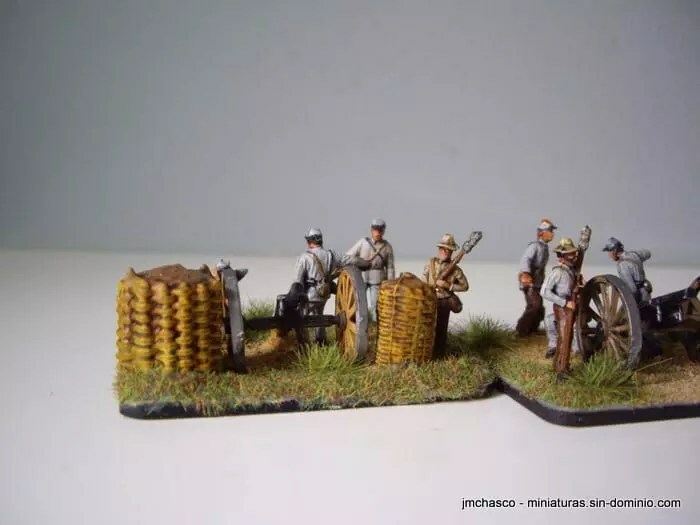 The one i loves the bounded old man seated on the limber, a great figure. 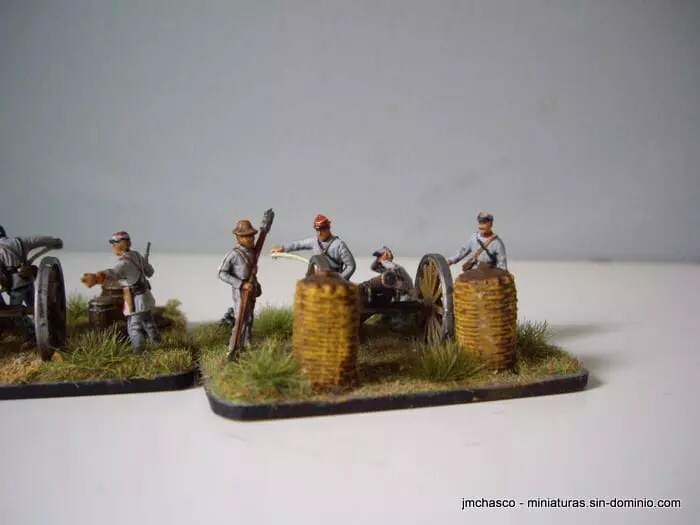 The worst faces details, aren’t too depth, so bad result achieved by washes / dry brush technique. 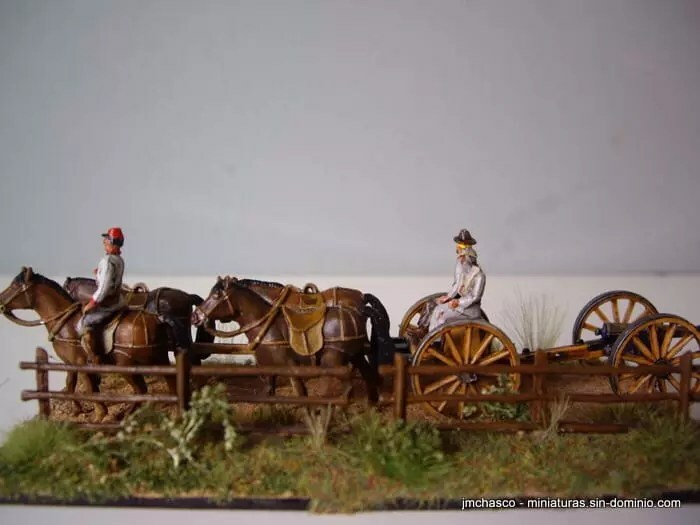 Horses are the same poses than the Accurate set, and also the figure riding one, but with some details added. 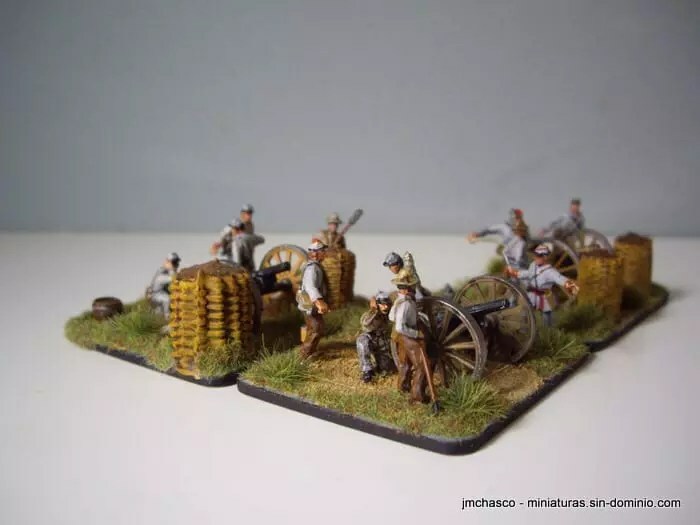 With this work i completes 5 guns and 2 limbers, which is enough to play by the moment. 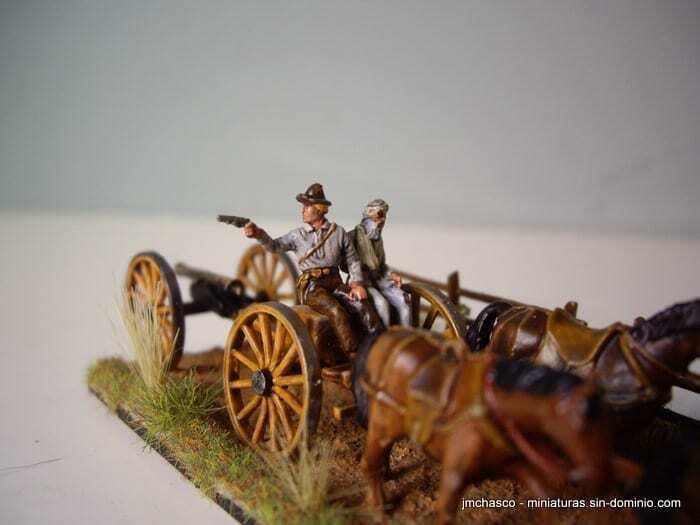 Next ACW work will be Confederate cavalry, probably Imex and Gulliver ones.